GoMakeADifference has this year been expanded with a total of $30,000 being awarded to 30 UWC projects to go and make a difference immediately after they graduate. 2017 will see UWC students deliver community projects to make a difference in Africa, Asia, Europe, South America and the Caribbean. 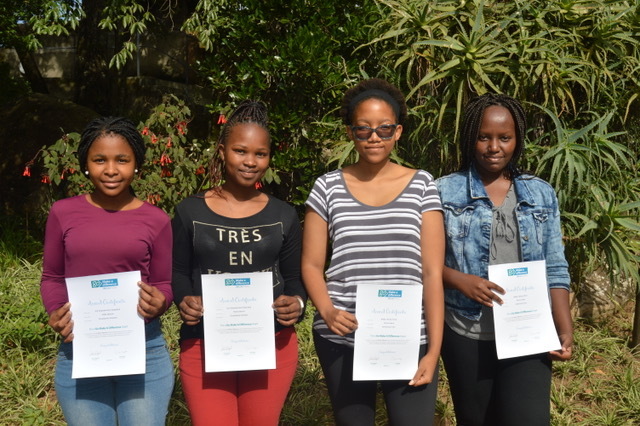 Applications were received for the first time from UWC Waterford Khambhala, UWC Robert Bosch and UWC Changshu showing that GoMakeADifference is now reaching across the UWC movement. 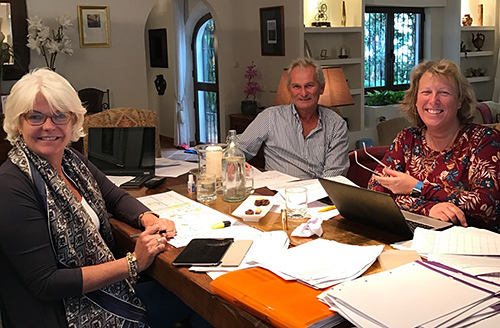 Co-Founders Colin and Jill with Ann Goodwin, reviewing the 2017 applications. There were a significant number of applications to choose from and deciding on which projects should be worthy of an award proved difficult. 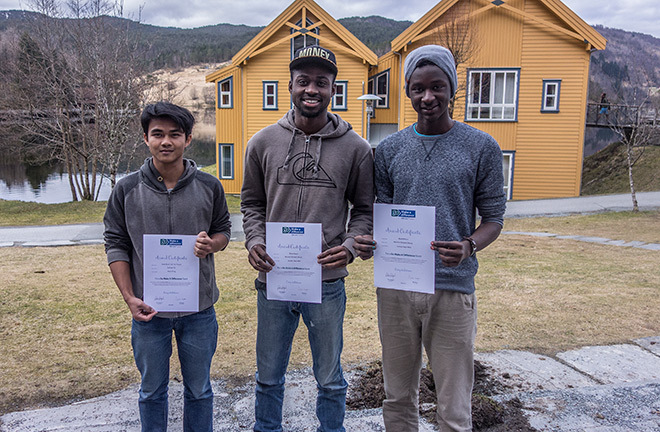 Applications were awarded on the originality of the project, the level of impact and sustainability they will have, the level of personal development and challenge for the students and their likelihood for success. The founders, Colin Habgood and Jill Longson, were impressed, as Colin said, “Jill and I were moved by the diversity and quality of projects and the obvious commitment from students. We looked at all the applications in great detail before deciding which projects should be awarded. It is really humbling to see the ideas students have and their desire to go and make a difference. Whilst it is not possible for every application to be awarded a grant, we hope somehow that everyone who applied can use this process as a catalyst to deliver their projects in some way”. In true UWC spirit, some projects were delivered by students coming together across more than one school/college. "Solar Salone" led by Abubakarr Sidique Konneh from UWC LPC and Dominic Hindolo Said from UWC Mahindra seek to provide sustainable and reliable solar panels for school students affected by power shortage in Sierra Leone. "I am Malawi" is a project giving youth access to information, internet services, promoting entrepreneurship and teaching skills such as sewing. The project will be delivered by Mungo Casper Ligoya from UWC Dilijan and MaBlda Mchazime from UWC Maastricht. "Kenyan Youth for Peace" aims to help youth overcome violence in relation to elections and will be delivered by Nawal Abdulrahman Ali from UWC SEA and Shamim Mohamed from UWC Pearson College. "Giving Back Strength" will be delivered by Hadjaratou Gado Alzouma from UWC Mostar and Abdoul Nasser Bounia Yahya from UWC USA, they will be working with women who suffer from obstetric fistula, how to sew and sell their products. One project worthy of note for interest to potentially all UWC alumni and students is, “The Journey Much Desired” a planned autobiographic novel from John Michael Koffi a UWC Robert Bosch student. The novel follows John Michael’s refugee life in Malawi and later in Swaziland, focusing on the struggles of being a refugee youth with the constant disruption to education and friendships. Successful students from Waterford Kamhlaba United World College receive their GoMakeADifference awards. Special mention must go to Drishika Dugar and Elizabeth Dowell from UWC Atlantic College for their "E2" (Electronic Education) application. This project plans to install sustainable online libraries powered by solar panels in communities in Nepal that do not have access to books or internet, improving academic performance of the students. This project was perceived as the top application received this year achieving the highest marks against all the assessment criteria. As such, the students will be receiving a $1500 donation in recognition of this. Everyone at GoMakeADifference looks forward to posting the reports from the successful applications as the projects are delivered and would like to thank everyone who applied and the local UWC co-ordinators who help with the application process. Hopefully 2018 leavers can be inspired by these projects and can start to think about how they can make a difference in the near future! We are really thankful for giving us an opportunity to start GoMakeADifference one tree=one tourist. Through this project, we learnt that there are challenges and obstacles in any start-up project. The people who succeed in these hard times are those who are not afraid to fail. GoMakeADifference one tree = one tourist made us realize our potential.